Beware people at PayPal, Your dominance in person-to-person payment is now threatened. You now have competitors in Google wallet, visa and AMEX Serve, to name just the major ones. Mobile payment market is expected to grow to $640B by 2014 and big companies are working hard towards grabbing the largest pie of it. Advent of technology coupled with few fresh ideas resulted in mushrooming of start- ups in digital payment landscape. Companies with big fat wallet were quick to notice this opportunity and grabed the most potential ones. American Express grabbed a company called ‘Revolution Money’ and after the amalgamation the product, which went live in March, is called ‘Serve’. At present PayPal captures the majority share in P2P payment, with nearest rivals not even close to it in terms of revenue. No wonder that the likes of Google, Visa and American Express are trying to enter in this lucrative and fastest growing payment industry. Since its launch, Serve has really grown bigger piggy backing on Amex’s muscle power and brand value. The recent news of serve tying up with Face Book, Patch.com, Foursquare, Sprint and most recently, Verizon wireless is customary to that fact. Why you should one ditch PayPal in favor of Serve? Answer lies in another question. Have you ever received a payment through Paypal? My fellow blogger colleagues would certainly give a positive nod. Bloggers receive most of the payments through PayPal and we never receive full payments. PayPal always deducts a commission out of your money. Serve will not do that. I am on board of a non profit organization, we receive donation through Paypal, we pay them around $2500 per year on commission just for receiving payments from our payers. Here is what mentioned about fees on Paypal and Serve websites. I have been using Serve for a couple of months to pay my service providers who refuse to accept checks and I am completely satisfied with Serve. Now, if I receive a payment through serve from an advertiser, who would otherwise have paid me through PayPal, I will receive the full money I was supposed to get, because Serve will not deduct 2.99% from that payment. You can fund both through your bank account, which is free of cost. You can fund your account through debit or credit card for 2.99% fee. PayPal do offer discounted rate for large financial transactions. These are not credit cards, so you don’t need to give your SSN and your credit history is not accessed to open accounts. validation of bank account or cards happen in same way. Serve comes with a AMEX prepaid card with variable limit on it, which depends on how much money you put in your serve account. So if you are a person who avoids credit card and want to be restricted on impulse buying, a serve card is a product for you, even if you don’t need a person to person payment network. Serve has a feature of sub accounts, your Serve account can have many sub accounts and you can transfer money from your main account to these sub accounts. One blog world example would be when we pay our copywriters, staff writers or social network admins we may not have to use PayPal or physical check. You can apply for a serve account and open a few sub accounts for these service providers. Each of them will receive a Serve card. Now you can allocate money to these sub accounts towards the payment for the services you receive. You can give Serve sub accounts to your children and control their spending and spending habit, as you can see how they are spending their money from your master Serve account. You get American Express standard customer service for your account, Serve card is accepted in all places an AMEX card is accepted. Serve is your digital wallet, if you have serve app on mobile phone you can use it to make payments, although the current state is very nascent and rolled out to limited geographic areas, but it is where the future is. Serve, in association with Foursquare, gives ultra localized deals. If you have a Foursquare account, link it with serve account. Now when you visit some place your foursquare account will list the local deals. Simply load the deal on your serve account and pay for the deal with it, within a few days your account will be credited back. Engage in a coupon free life here after, how exciting! Although Serve is by far the best tool in P2P payments, we must remember that many great products failed in market place due to lack of branding and promotion. Serve is a people’s tool and people’s participation is what will make it a success or a failure. This payment share war is similar to social networking war. See, how much Google is struggling to compete with FaceBook. Google Plus is a great product, but very low acceptance rate making it another Google failure, well almost. If Serve has to win, it has to work with partners at a furious pace, the sooner people find out about Serve’s benefits; better it would be for Serve. The tie-up with Verizon is a right step towards this direction. You might like Serve, but unless the person who is sending or receiving money from you is also on Serve, you can’t love Serve just because it’s a digital wallet of future. Readers, If you have anything to share on your personal experience with any P2P payment tools including Serve and PayPal, feel free to share. I would also invite comments from PayPal and Serve teams. I know my readers would love to listen from the horses’ mouth. Do remember to follow me on Twitter and/or Facebook, and subscribe to my RSS feed, coz’ I will help. It would be nice if Serve gave PayPal a run for it’s money, but like you said it’s kind of up to the people. Yes definitely, it needs backing. And for that our understanding and awareness should grow first. 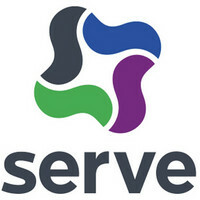 Serve sounds like a really promising and interesting service, I’ll have to look into it. thanks for the heads up. I’m always annoyed when paypal deducts a fee from my earnings. I have been meaning to look into the press release they sent, but never got to it. As you have been using this for sometime, may be you will know the answer to these question. 1. Can you transfer the money to a bank or is it just the AmEx card? 2. What are the fees for business transactions? Personal transactions are free in paypal too, but business transactions are not. Is business transactions free in Serve? 1) You can not, only way is to withdraw money with serve card at an ATM (first time withdrawal is free in a month, then a $2 per transaction charge) no withdrawal limit, so you can withdraw all your money earned last month without paying any fees at one go. Or you can let be on your serve account and continue to earn 0.1% interest. You can also pay from Serve account using serve card almost everywhere where AMEX is accepted. 3) True, funding with credit card to serve account is free but will be charged 2.99% as PayPal does, starting 2012, which I have mentioned in my post as well. PayPal won’t allow a big paypemt through your credit card, but Serve will allow you unlimited amount to be transferred from your credit card. Serve now allows free withdrawals by ACH transfer to your linked consumer checking account. Sounds like a great service. I’ll have to look into it. Thanks. I was searching for serve feature while got in to your blog. you said that I can not transfer money back to my bank from serve. this is a great drawback. good that I can spend through the card so that 2% save will be what the selling point is, right? You got it Rob! You answered your own question. Thanks for stopping by. After reading this blog and responses from then, I wasn’t quite sure if you found out that you CAN sent money back to your bank account via the withdraw button on your account. It generally take about 3 days for it to hit your bank. How this helps also. Thanks for the very helpful information. I haven’t used this withdraw function yet. Akimbo sounds great, except one thing, TOO MANY FEES. Would love to save the paypal fees! I’ll have to check if my advertisers have an account. again i Wish them a Bankrupcy, they are dictators! B! !..